With previous phones you could just select an mp3 track and hey presto it’s your ringtone. But hey this is Apple! And iTunes is involved, which makes things a little more complicated. 1. 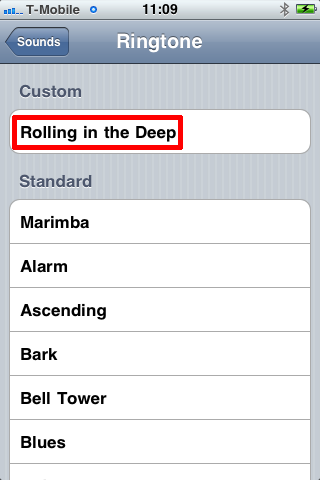 I’m going to use a track from my music collection (Rolling in the Deep – Adele). Open iTunes and locate the track you want use. Locate the place in the track you want to cut out, in my case I don’t want the first 6 seconds, so my "cut" will start from 0:06. 2. Right click the track > Get Info > Options > Set the start time (remember mines 0:06) > Set the stop time, (Set it to 40 seconds later i.e. 0:46) > OK.
3. 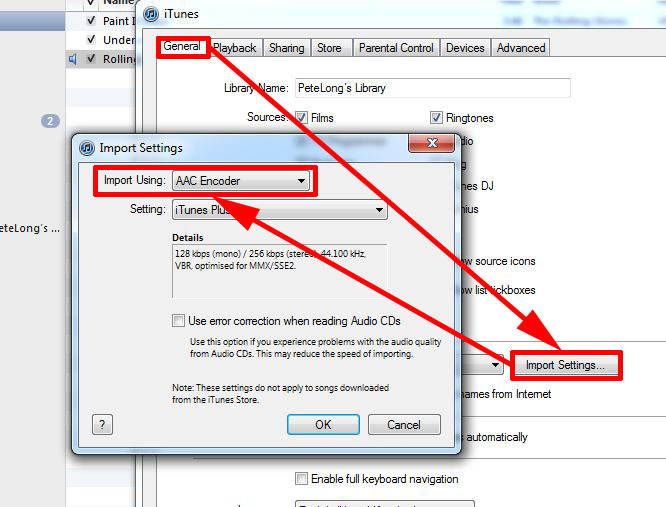 Right click the track again > Create AAC Version. Note: If you DONT see this option change your preferences (Edit > Preferences > General > Import Settings > Import Using = AAC Encoder > OK). After a few seconds the cut down version of the track will appear. 4. Right click the NEW TRACK and delete it > you may be asked to confirm first, but make sure you click the option for "Keep File" when presented with it. 5. Locate the track on your computer > Rename it from filename.m4a to filename.m4r > accept the warning. Note: I mean locate the file by browsing to it with Windows Explorer, by default iTunes will put in in your music location, in a folder that relates to the artist name, then a sub folder that relates to the album title. 6. 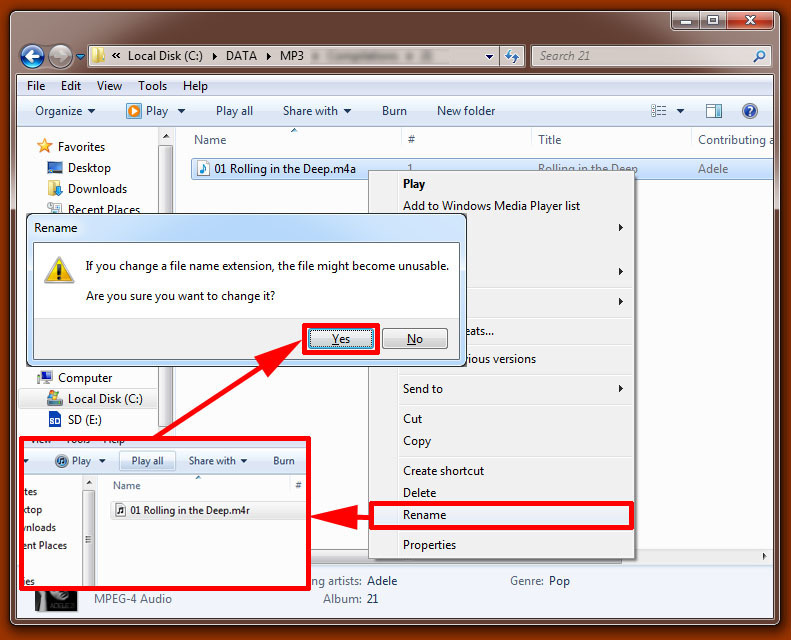 Double click the file, and iTunes will import it as a ringtone. 7. Plug in your iPhone > Ringtones > Tick "Sync Ringtones" > Apply. 9. 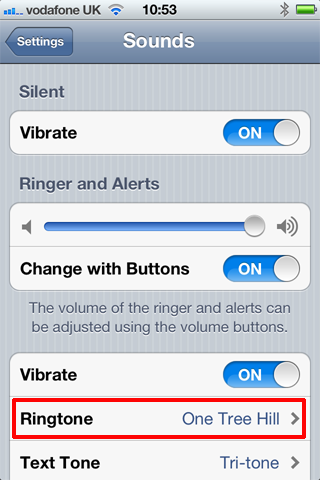 On the phone (Settings > Sounds > Ringtone, Note: on older IOS’s it will say Ringtones) > there’s your track.